So here's the recipe! I hope you enjoy them as much as we did! 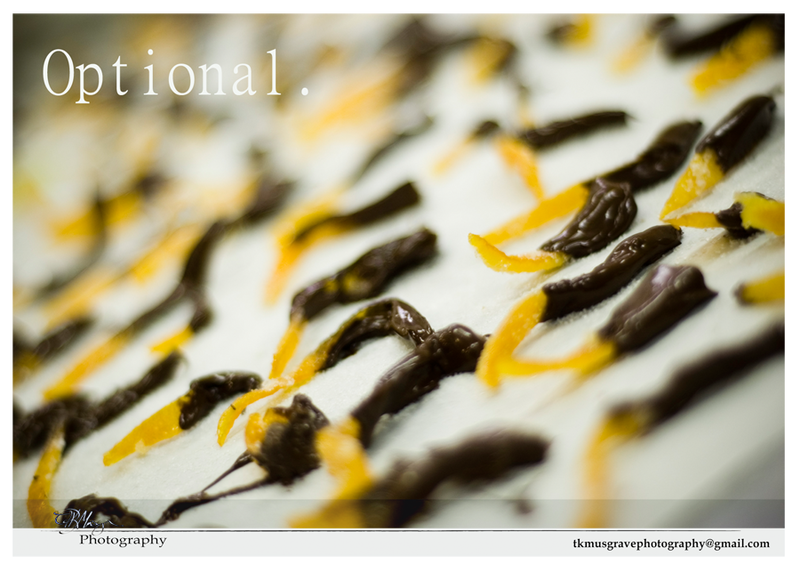 This is not solely for oranges. 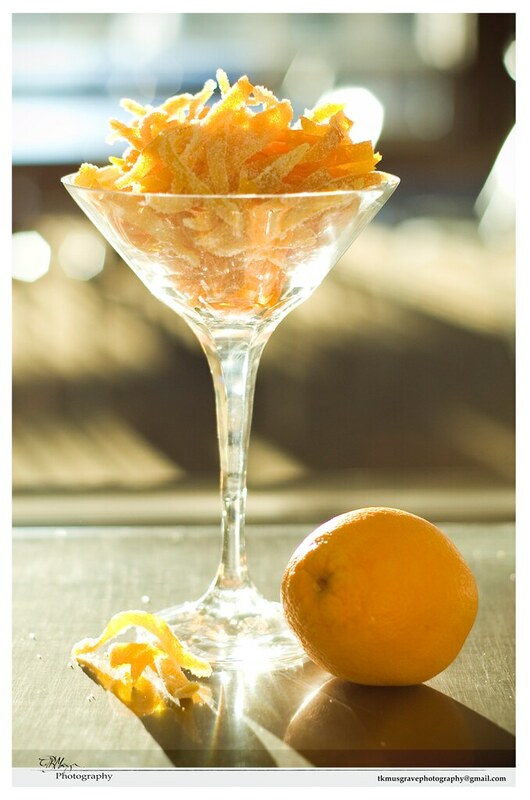 You can candy other kinds of citrus peels: tangerines, lemons, limes, grapefruit, and tangelos. We personally did a double batch, but I must warn you that it not only makes the boiling times a bit longer (by only a couple to a few minutes), but it's a bit overwhelming near the end when they're cooling and need to be rolled in sugar. ~ Put a large saucepan of water on the stove to boil. 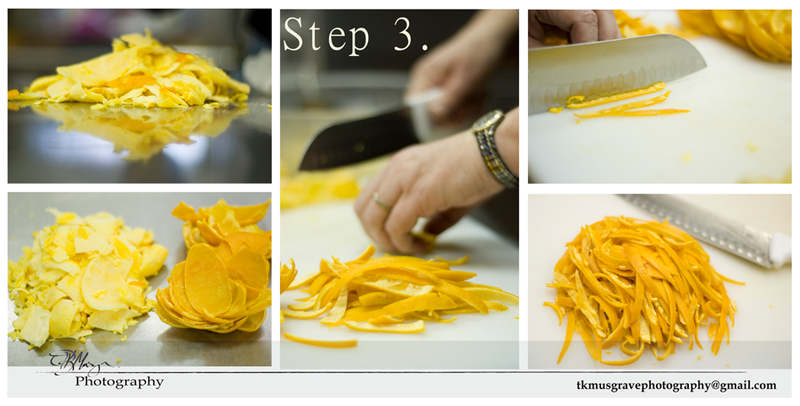 Cut the oranges in slices and peel the orange from the slices. 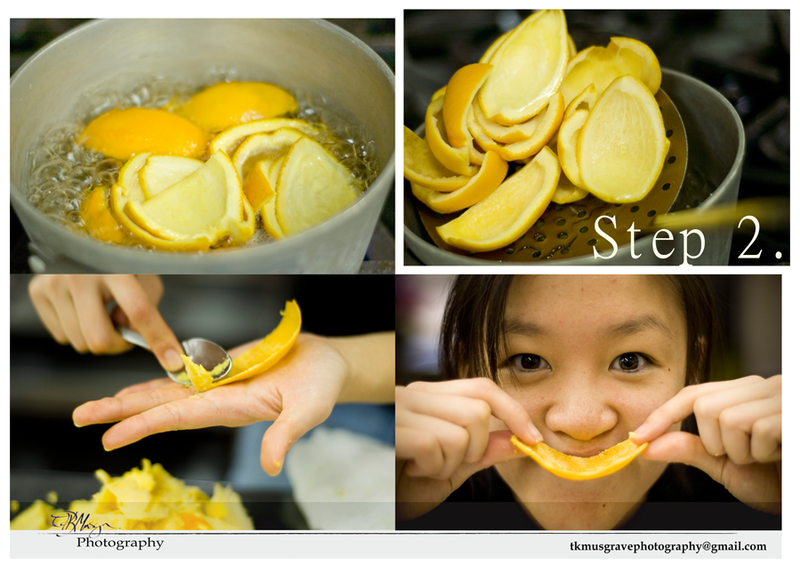 ~ Gently boil the peels for 5 minutes or so until the white pith on the inside of the skin is quite soft and yellow. Drain and cool the peels. 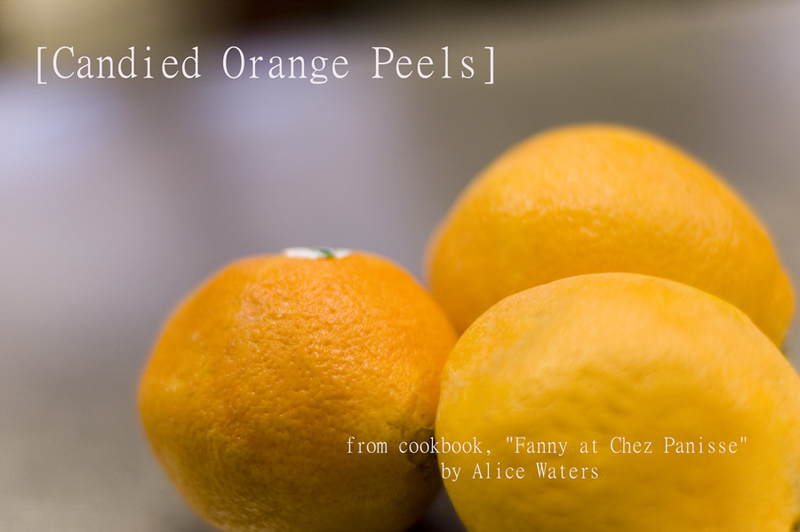 Use a spoon to scrape away the pith, being careful not to tear the peels. ~ Mix the sugar and 1/2 cup water in a saucepan and put on the stove over medium heat. 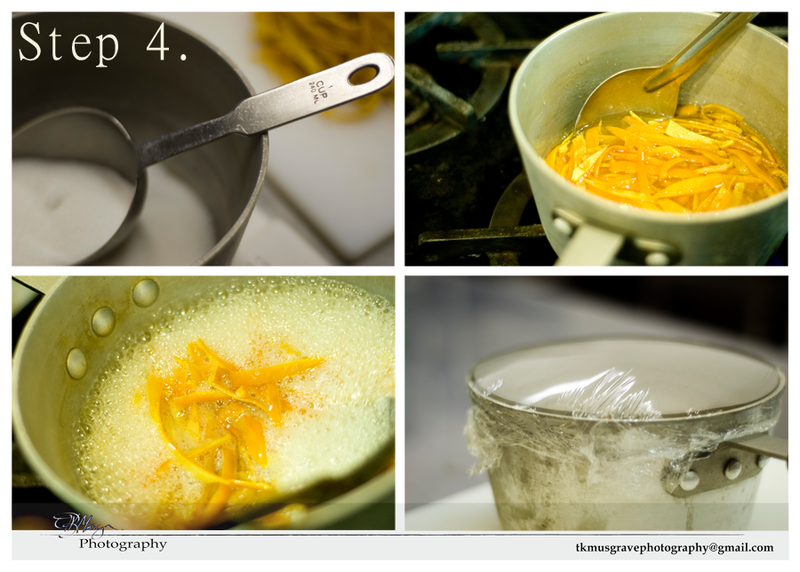 When the sugar is dissolved, add the strips of peel. Stir now and then until the peels and syrup begin to boil. Let them boil gently for 5 minutes, then turn off the heat and let them sit in the pan for 24 hours. ~ The next day, heat the syrup and peels to boiling again. Stir now and then, and boil gently until the syrup cooks to the thread stage, about 10 minutes. 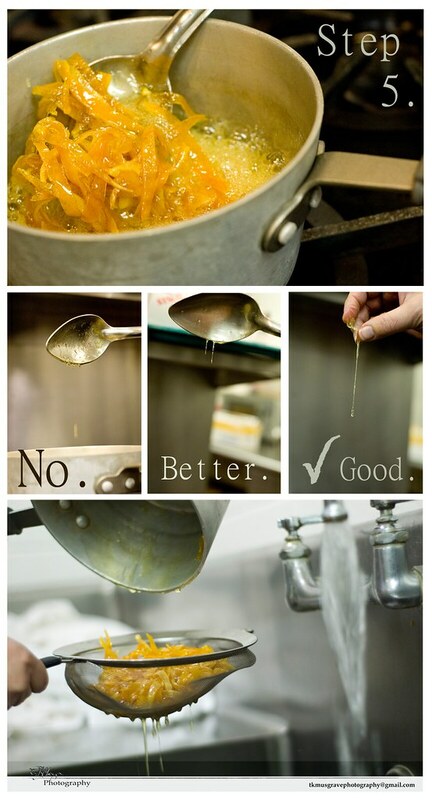 You can test this by dipping a spoon or fork in the syrup, lifting it out, and watching the syrup drip. When the drips leave a thread of sugar as they fall, it's ready. 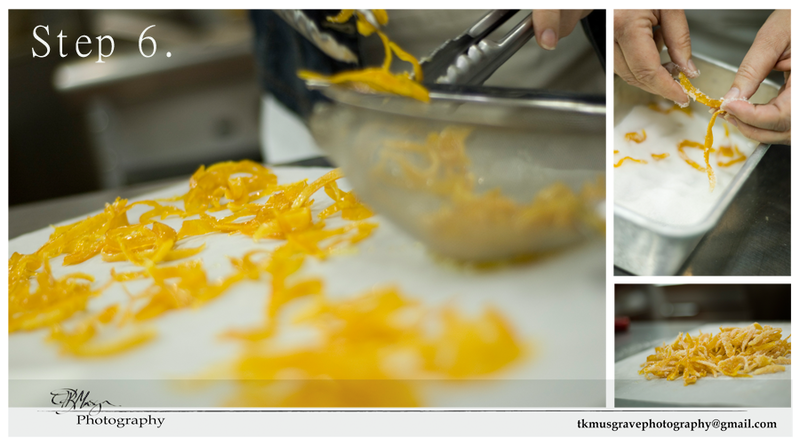 Right away, drain the peels in a strainer. ~ When the peels are cool, separate them and toss them in some granulated sugar until lightly coated; shake off the extra. If they won't coat, my mom and I pressed sugar into it and it stuck fine. And you're DONE! The next part is optional, but I highly recommend it because it makes them SO delicious. Dip the ends in melted chocolate and cool them in a freezer for a couple minutes. Bon appetit!